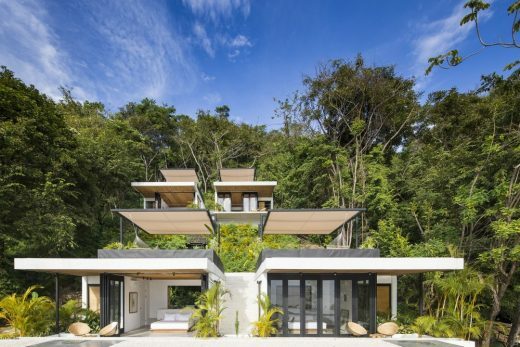 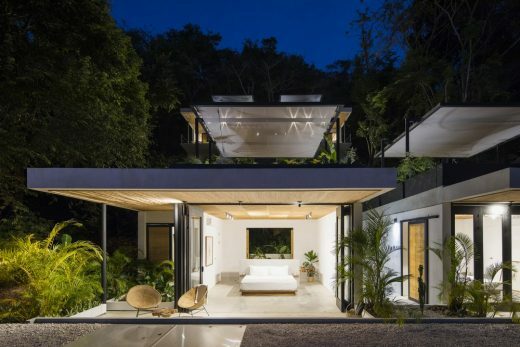 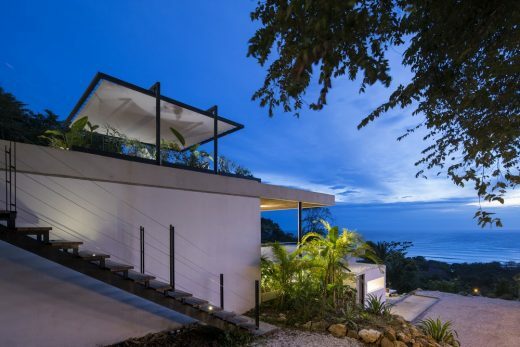 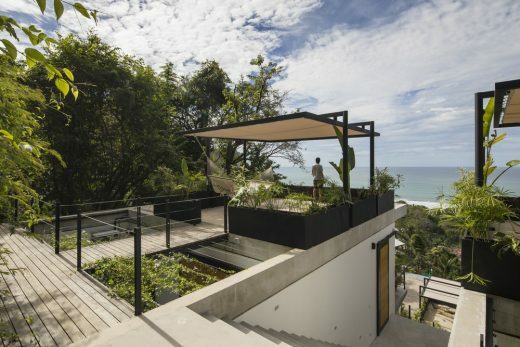 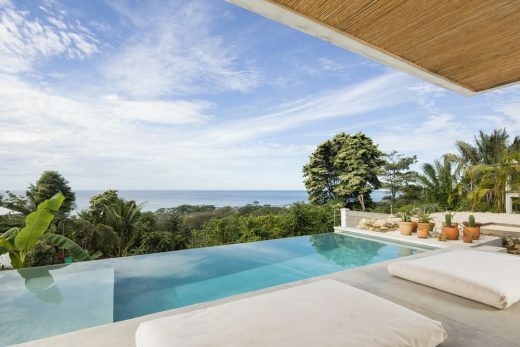 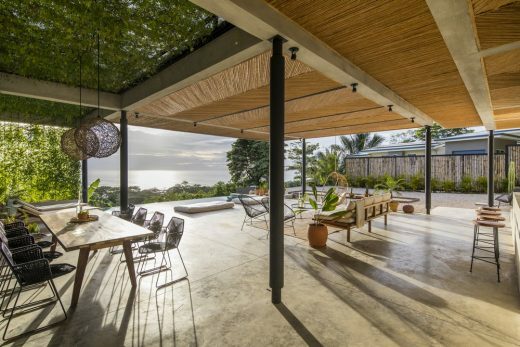 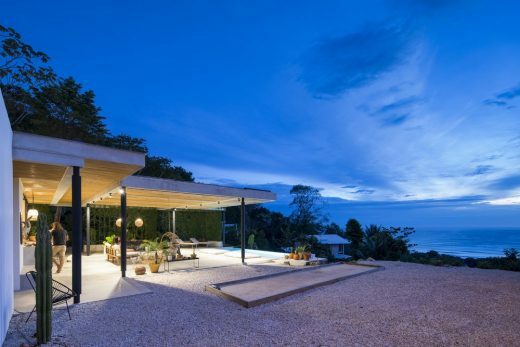 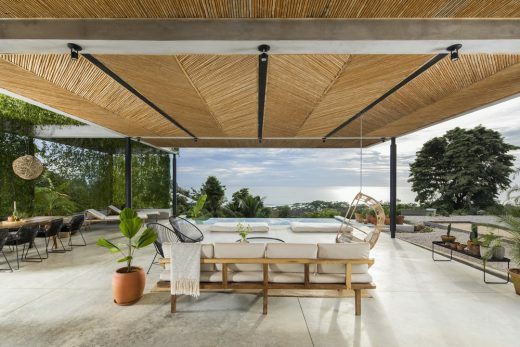 Stepping down a steep hillside and overlooking the ocean, Mint Santa Theresa is a new hotel that blends a European design aesthetic with Costa Rican craftsmanship – created to ensure that guests can commune with nature, each other and local people. 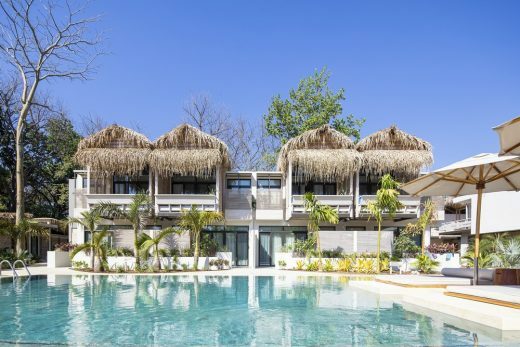 The Swedish owners fell in love with Santa Theresa as a surfing paradise, as well as its burgeoning yoga community. 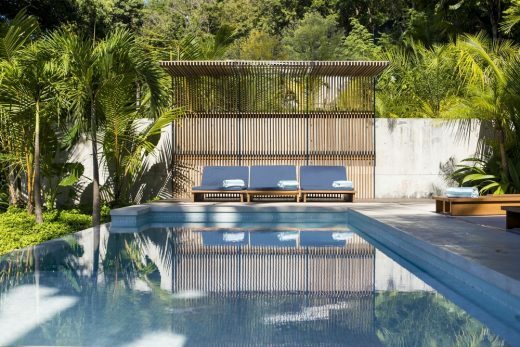 Inspired by Greek architecture, minimalism and Scandinavian design, they commissioned Studio Saxe who have developed a reputation for their approach to architecture that harmonises with tropical landscapes. 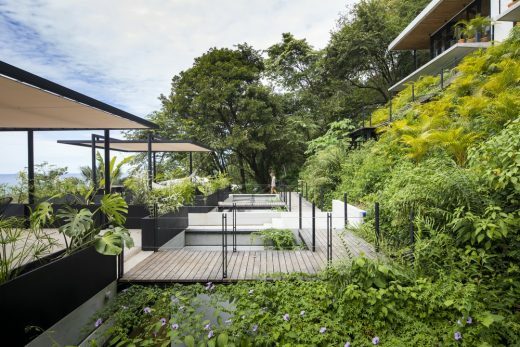 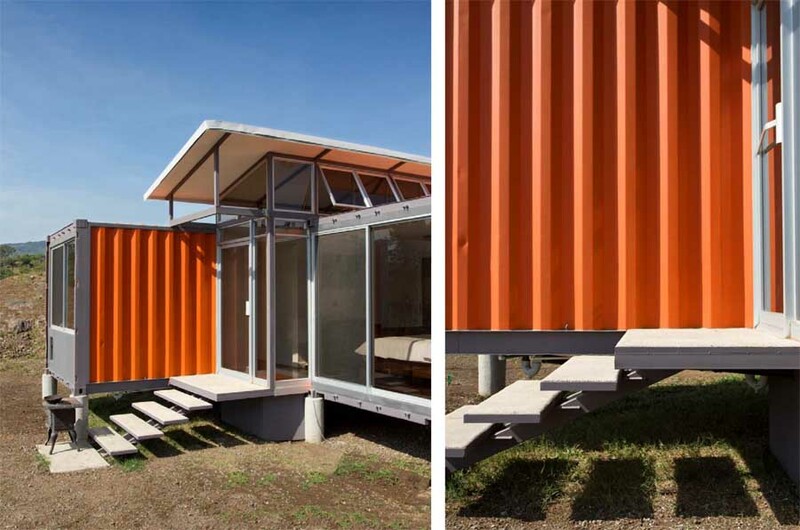 Hotel residents occupy individual pavilion-like structures where they can retreat into a private zone and yet still interact with the nature around them. The spacious guest rooms can be opened up completely to a personal terrace with an ocean view to the front and a garden with tropical plants in the rear. 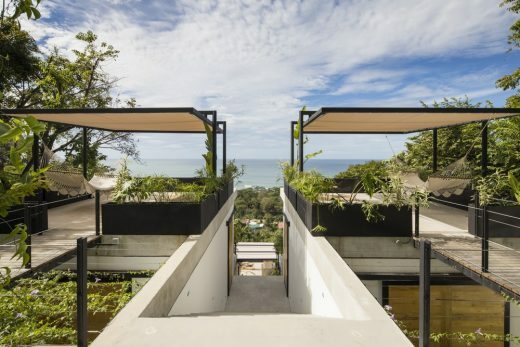 Even the bathrooms have an open layout, giving the guests the opportunity to shower while listening to the sound of the crashing waves. 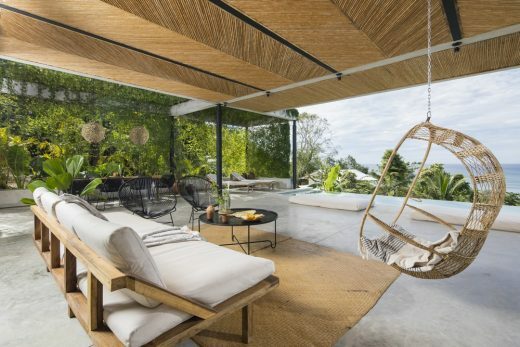 Each room is afforded its own rooftop terrace, complete with lush plants, a sail for shade and furnished with rattan furniture made in Sarchí, a Costa Rican town famous for its inhabitants’ craftsmanship. 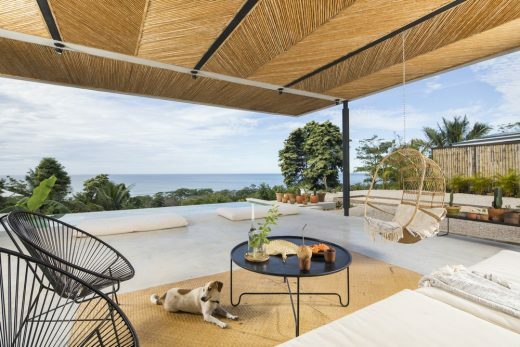 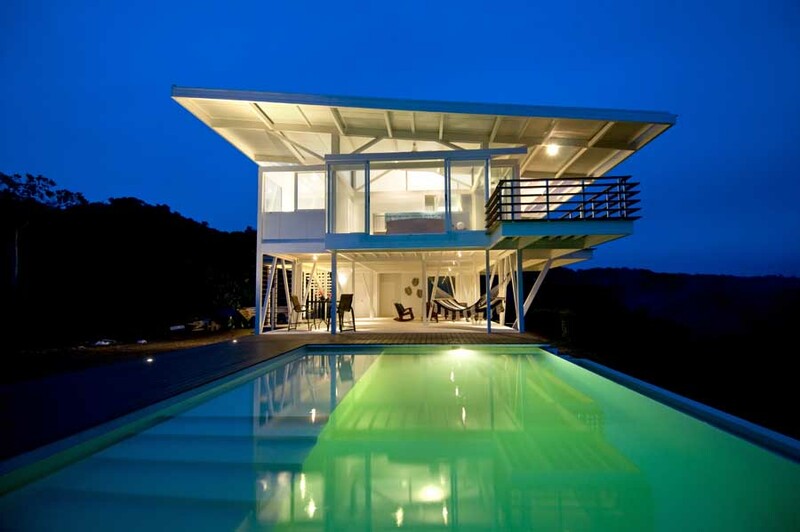 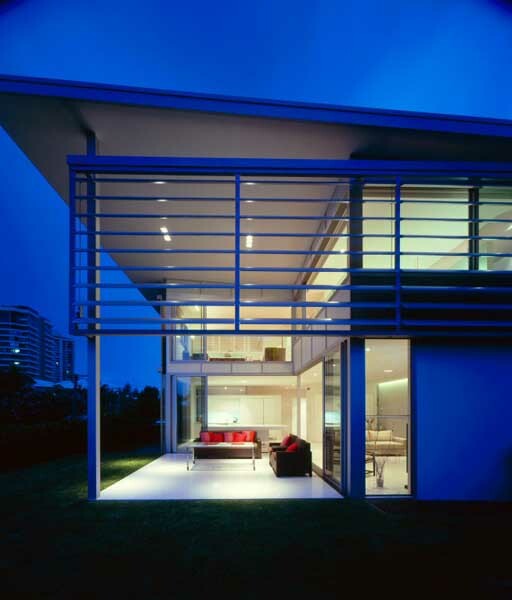 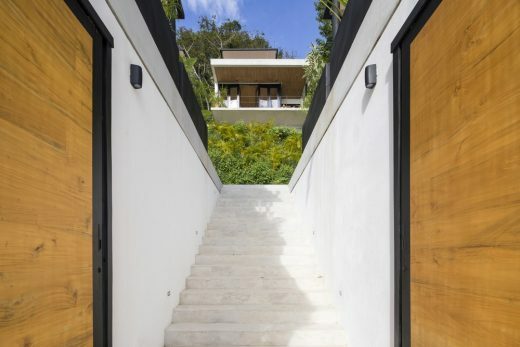 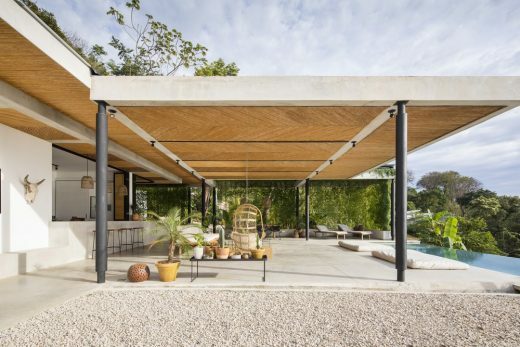 The architects have used locally-sourced materials throughout the project, such as in ceilings that are made of “caña brava” (a type of grass) installed in an intricate fishbone pattern. 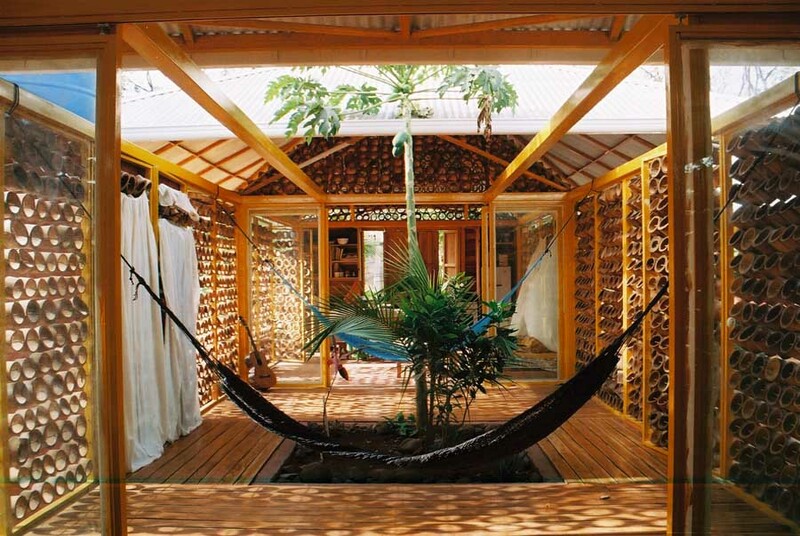 Local craftsmen have also created custom furniture made of local wood and using traditional techniques in new ways.